It’s been a busy couple mouths down here in Kansas! Corn harvest started around the second week of September and the big rush wrapped up around the end of September. Corn yields were a little better than expected with farmers seeing an average of 100-130 bu/acre on non-irrigated farm land. While at first, we were worried about aflatoxin, we ended up having nothing to worry about. Only a couple loads tested positive. Although corn yields were better, we never did see the crazy lines that appeared last year. The biggest day at our Gordon facility was around 560 trucks, a few hundred short of their normal 700-800 trucks a day. Once corn harvest wrapped up, we had about a two and half week stretch where it rained almost every day. Along with the rain, we experienced colder weather and even had our first snow fall! Now that it is finally drying out, bean harvest is just starting to pick back up this week. With this in mind, we are keeping watch for damaged beans and sprouting. There have also been some reports of beans falling out of their pods because of the rain and cold weather. It will be interesting to see how the bean crop turns out this year! 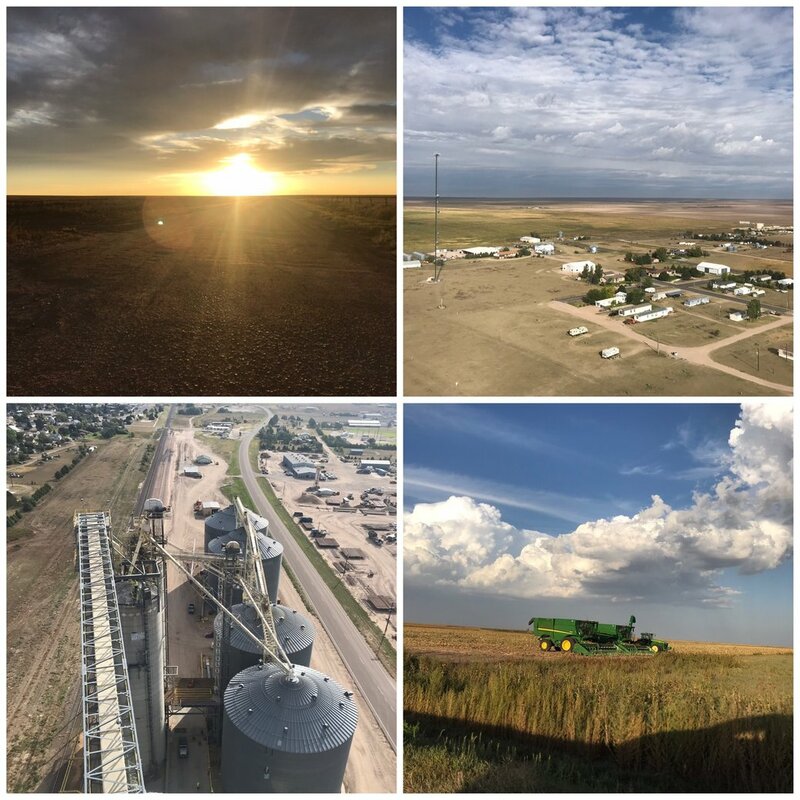 Back in September, while corn harvest was going on in Topeka, I got the chance to go to another Cargill elevator in Cheyenne Wells, CO. Cheyenne Wells is about 15 min west of the Colorado-Kansas border, and the biggest town in Cheyenne County consisting of around 800 people. It is also very flat. As one of my coworkers put it, you can watch your dog run away for two weeks. While I was there I helped shovel bins and got to learn about their operations. Corn, milo, and hard red winter wheat are the primary commodities that the elevator deals with. Soybeans are not grown there because it is too dry. Pivot irrigation is also very common, and their crops are planted with rounded edges to mirror the irrigation. What isn't being used as farm land, is left as pasture. While I was there, corn harvest was just getting started, and farmers were in their fields planting wheat. Most farmers no-till because the top soil is so thin. 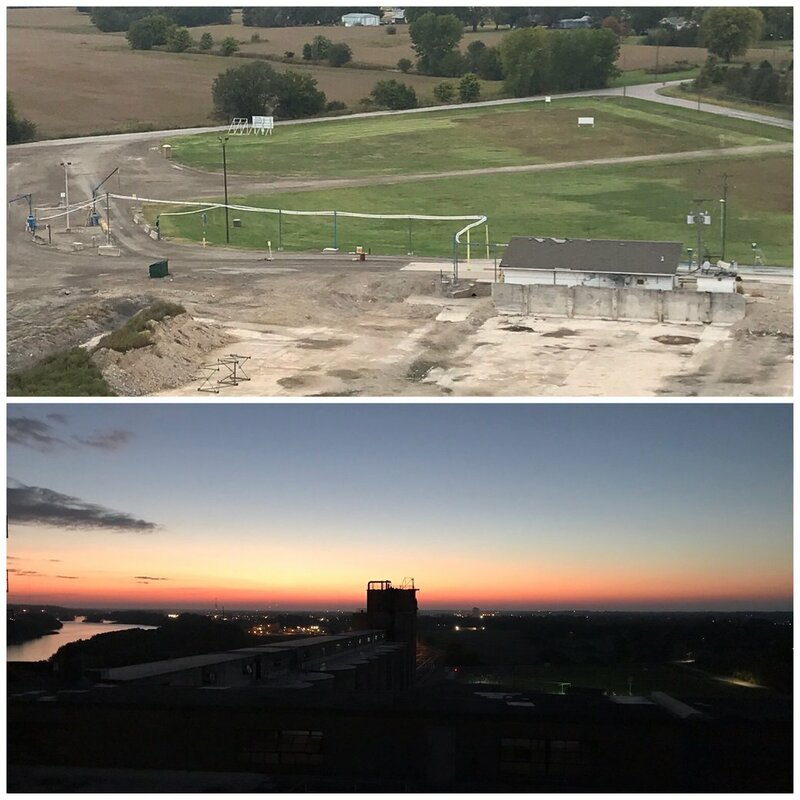 Today, I am still a trainee out of Topeka, but I have taken on a new opportunity as well. 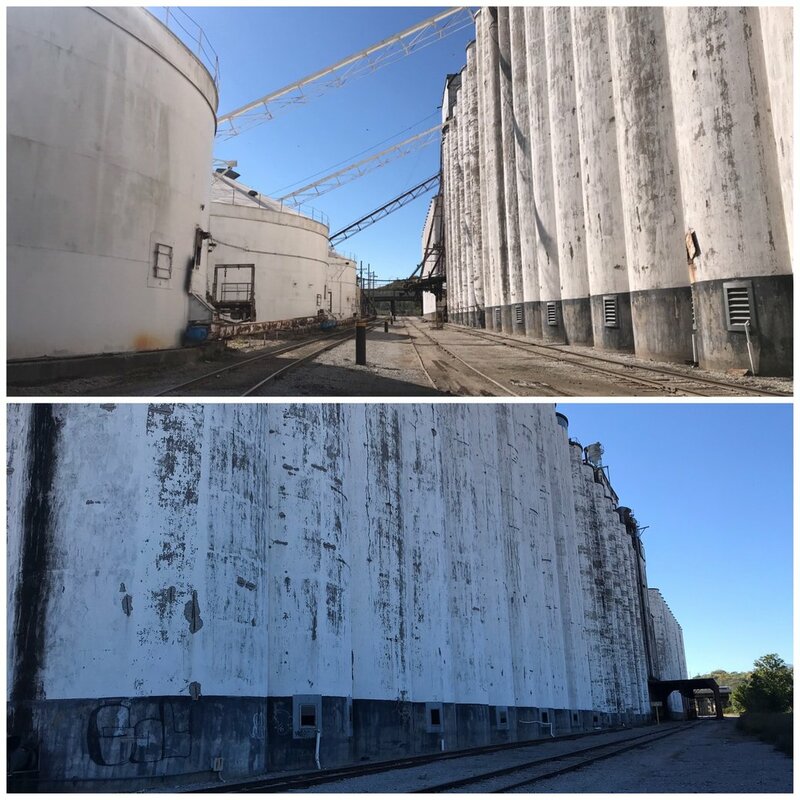 I am now also the production supervisor at Cargill's grain elevator in Kansas City which is known as Katy. This is a much smaller facility compared to Topeka. It has around 2-3 million bu, deals only with soft red winter wheat, and is a truck in/out operation. This elevator is also over 100 years old! Our main customer is Graincraft, a flour mill, who tells us most of our wheat goes into making cheezits.